Contour pillows made of synthetic foam are not adjustable. They cannot accommodate every body shape and sleeping position. This is just one of several reasons why you should consider sleeping on a buckwheat pillow – the best contour pillow. A buckwheat pillow reshapes and resizes to fit both your body and your sleeping positions. “Contour pillows” or support pillows are orthopedic pillows designed to keep your neck and spine in alignment while providing comfortable and healthy rest. These pillows are typically made of synthetic foam, and more recently memory foam has become popular. Memory foam pillows are made of a heat-sensitive foam which accquires the shape of the body sleeping on it. Contour pillows can be effective at promoting comfort and restful sleep. Some claim to provide relief of various medical conditions including neck pain, sleep apena, snoring, lower back pain, and insomnia. While contour pillows can be comfortable, synthetic foam pillows do come with some disadvantages. A typical memory foam contour pillow. Is your body really always shaped like this? One of the biggest problems with foam and memory foam pillows is that they come in a predefined geometric shape. 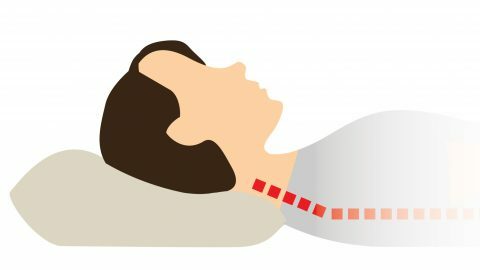 Foam will collapse and conform to you head somewhat, but it cannot be shaped, plumped or molded to support a wide variety of sleeping positions. Many people change positions throughout the night and a preformed foam pillow is not shaped optimally for many of these positions. You typically can not adjust the pillow thickness of a foam pillow. Depending on your body shape, the firmness of your mattress and your sleeping positions, a foam pillow may be too thick or too thin for maximum comfort and health. High-quality buckwheat pillows generally have a zipper. A zipper enables adjustment of the amount of filling in the pillow. 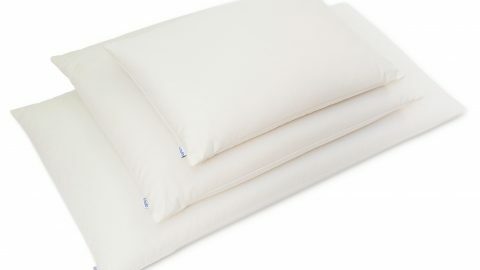 You can change the thickness of your pillow to be customized for maximum comfort by adding or removing buckwheat hulls. A buckwheat pillow can then be shaped to a range of shapes and sizes as you sleep to provide superior support and comfort. The irregular and hollow shape of buckwheat hulls creates airspace within your pillow. This airspace enables free air circulation and breathability. This results in a cool, dry pillow, for that “cool side of the pillow” effect all night long. Buckwheat pillows are safe for your family and the environment. Buckwheat crops benefit little from chemical fertilizers, thus it is free of many of the contaminants that are present in other crop types. The hulls are compostable, which helps to reduce unnecessary waste in our landfills and keeps our soil healthy and nutrient rich for future generations. Additionally, buckwheat pillows contain no animal products for those interested in a vegan lifestyle. 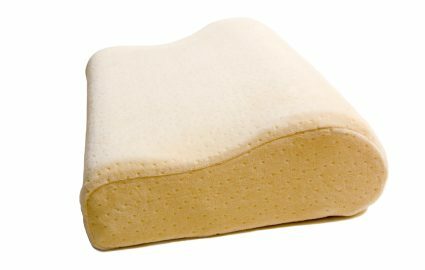 The all-natural, adjustable and cool comfort of a buckwheat pillow is the best alternative to traditional contour pillows. Many people do not give their choice of pillow a second thought and as a result, they are likely missing out on better rest. You can read our buckwheat pillow reviews for an idea of how much people love their buckwheat pillows. Give Hullo a try for 60 nights. If you're not sleeping better, send it back for a full refund.